We are delighted to share that Sadhguru will be hosting a Mystic Eye event in London! The event will be held at the London Excel Venue from 9:00am - 2:30pm on the 19th of May. This is an incredible opportunity to spend a day delving into life’s most meaningful questions whilst sat in Sadhguru’s magnetic presence. Registrations will open soon and you can sign up on the website mysticeye.co.uk to stay updated. March was a memorable month for numerous reasons, and not the least for the unprecedented snowfall! 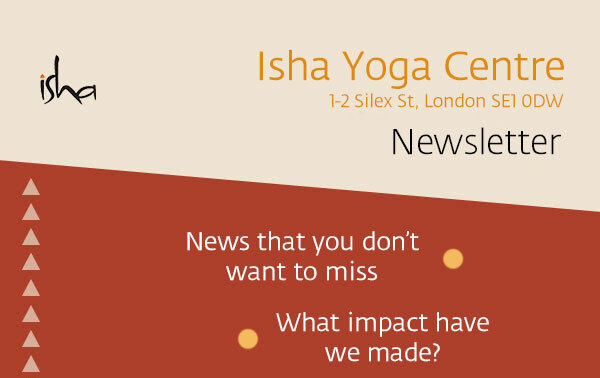 It was a month of many firsts for the new Isha Yoga Centre in London. 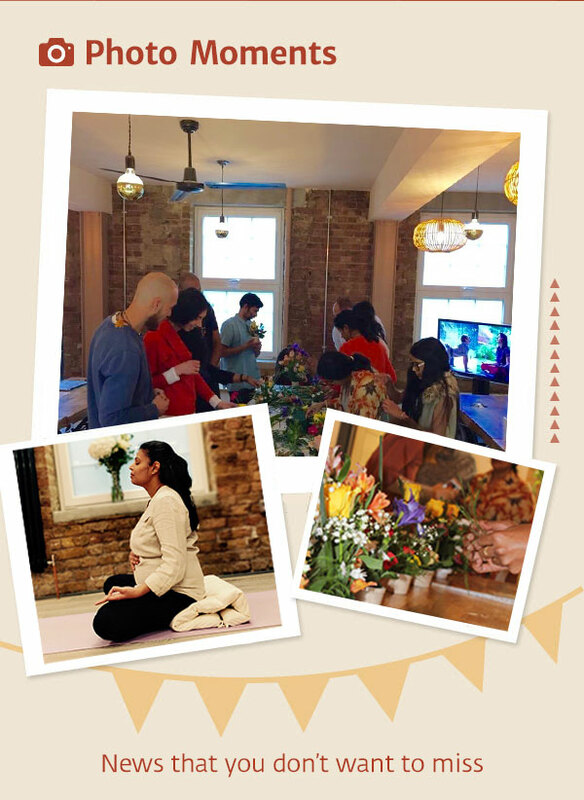 For the first time, we were able to offer Bhuta Shuddhi and Jala Neti workshops, the ancient Yogic Practices designed to purify the human system. We were also excited to offer Prenatal Yoga, a workshop specifically tailored for pregnant ladies. To coincide with the emergence of Spring, a special floral workshop was organized on the 24th of March. We shared just how to create the beautiful and intricate floral patterns that have always been a fundamental part of Isha events. These magnificent and memorable floral displays are not merely decorations but an expression of love and blossoming under Sadhguru's grace. The workshop was very well attended and we are thrilled to have discovered such a talented bunch of budding florists! Participants created enriching and unique flower arrangements of their own, and a very fun and lively session was had by all! Last but not least, we are excited to announce that we are extending the Centre’s opening times! On Mondays, Tuesdays and Thursdays you can now enjoy the warmth of the centre from 10:00 AM to 6:00 PM, and on Wednesdays and Fridays from 10:00 AM to 8:00 PM! The centre will also be open during programme timings, so don’t be shy – feel free to step inside! In March, we offered three Inner Engineering programmes in the centre, with people from differing countries and all walks of life enthusiastically participating. Six Isha Hatha Yoga programmes were conducted by highly trained teachers, who offer Hatha Yoga in its purest form as a means towards cosmic union. Angamardana, Surya Kriya, Asanas Advanced, Jalaneti, Butha Shuddi workshops, as well as Prenatal yoga were all very well received. Recently I had the pleasure of volunteering at Isha Yoga Centre, London. Walking into the centre, I was pleasantly surprised by how welcoming, and beautifully put together it was. It oozed with Isha personality and soul. My day was peppered with involvement in many different aspects of supporting the IE completion program, which was ongoing that day. From welcoming the participants, helping with food preparation, arranging flowers, to the end of the day wrap up - every single moment was a beautiful experience of the task itself, and also of getting to know many other volunteers. My palate still yearns for that scrumptious lunch we had that day! By volunteering, I had assumed I was there to offer my time and services to Sadhguru. But in fact, it was me who received so much more in return. I had the opportunity to sit and listen to parts of the IE course, and to see & listen to exclusive Sadhguru IE teachings again. To top it all, I had the opportunity to participate in the Shambhavi Mahamudra initiation again, which was beautifully led by the teacher! I would encourage everyone to gift themselves this beautiful experience of volunteering - no matter how much time you can manage to give, you’ll find yourself richer in return.